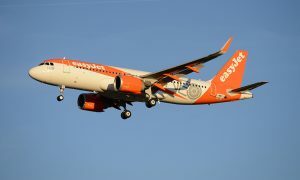 easyJet has announced that it will be adding an additional aircraft to its Bristol operations from next year to cater for extra demand from its passengers across the South West and enable the airline to fly to even more destinations from the airport. From summer 2016 there will be up to 13 easyJet aircraft based at the airport. 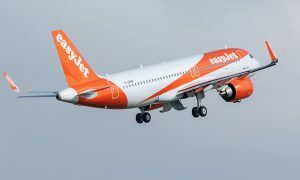 The announcement comes following easyJet’s full year results announcing the airline had delivered record profits and returns for the 12 months ended 30 September 2015. Earlier this month the airline also celebrated the start of two of its new routes from Bristol Airport to Basel in Switzerland and Vienna in Austria. The new routes were Bristol Airport’s first ever scheduled services to the two destinations and are expected to carry around 78,000 passengers annually. In 2015 alone the airline has started, or announced the start dates of, an impressive 12 new destinations, meaning its customers in the South West can now choose from 58 destinations in total. As well as its Basel and Vienna inaugurals earlier this month, easyJet’s first flights to Bilbao, Catania, Gibraltar, Isle of Man, Lanzarote, Porto and Zante also took off. Another three have been announced for 2016: Dubrovnik, Nantes and Venice.